We have all heard that fish is “brain food”, but that’s only for people, right? Not so fast. Actually, salmon oil has shown not only brain benefits, but many others. 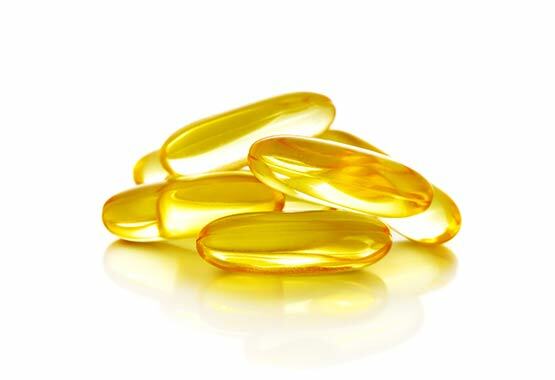 Salmon oil, like fish oil, is high inomega-3 fatty acids, EPA and DHA. 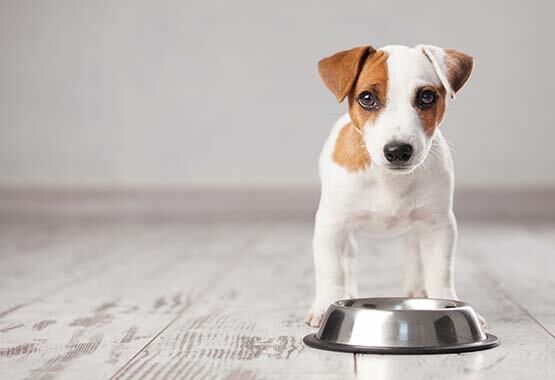 If a dog lacks these important chemicals, this can bring about many unhealthy conditions, like allergies, immune system problems, poor kidney and liver function, and dermatitis and other skin and coat disorders. Regulation and support of the immune system. Prevention against a variety of cancers. Improved condition of the skin and coat. Supports weight loss when accompanied by a healthy diet and exercise. Most dogs tolerate salmon oil very well and never experience any of these side effects. When you begin giving salmon oil to your dog, be sure to watch for any indication of discomfort. 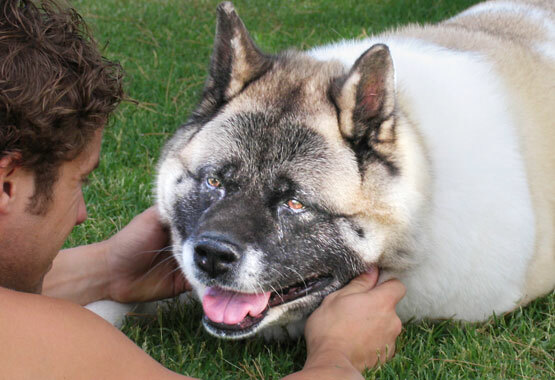 The appropriate dose of salmon oil for your dog depends entirely upon your dog’s weight. 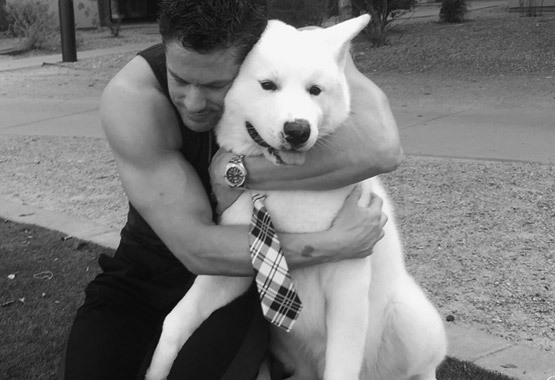 The heavier your dog is, the greater the dose. You may see different recommendations from different sources. The best option is to closely follow the instructions onParticular Paws Salmon Oil for Dogs and follow up with your veterinarian, as you would any time you introduce a new nutritional supplement. ❤ Boost your dogs immune system. ❤ Lower blood pressure and triglycerides. ❤ Prevention against a variety of cancers. ❤ Improved condition of the skin & coat. ❤ Reduced inflammation in joints. ❤ Supports a healthy diet and exercise. 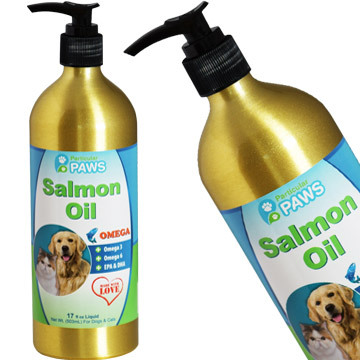 Our Salmon Oil Products Your Dog Will Thank You For! 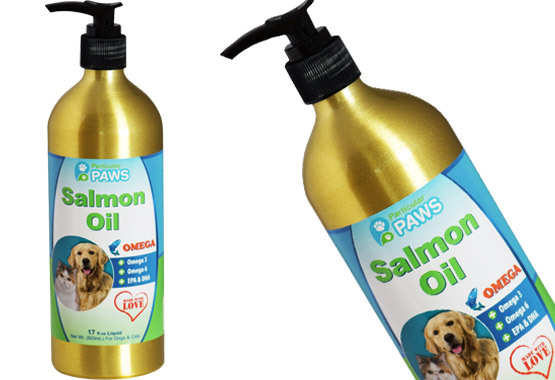 Salmon Oil Products Your Dog Will Thank You For! Just a few squirts of our Salmon Oil on your pet’s food will help them get the Omegas they need to maintain a healthy life. 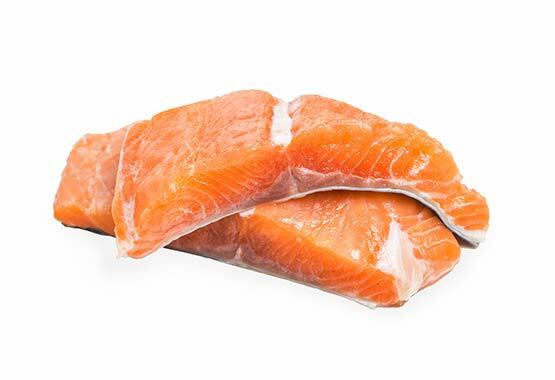 Plus, your pet will love the yummy salmon taste! 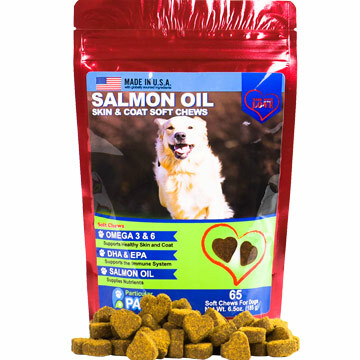 Our Salmon Oil Treats are filled with nutrients that help cellular growth, blood pressure regulation and inflammatory responses. We make them right here in America and dogs give the taste two paws up! "I tried to follow my vet's advice and put Choxy on their product, but three weeks later there was no result. 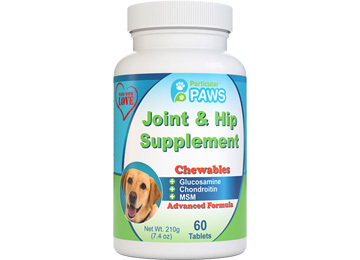 I discontinued vet's supplements and started glucosamine for dogs. And MIRACLE happened! 3 days later I noticed improvement in Choxy's mobility. Now, 10 days later he is even better. He is now enjoying being outside more, sniff and explore the grass longer and then he goes into his doggie stroller to view the world from above. I will soon order another 60 pills in order to keep Choxy in better shape for long time. Thank you very much! I am impressed how, on top of all this, you conduct your business. Choxy is thankful too!" This product really works! I have a Boston terrier and his poor baby eyes are always watery so they leave tear stains. I wanted something gentle because I definitely do not want to irritate his eyes even more. This product was great. It says you can use daily, but I use it every 3 or 4 days and it has helped him a lot and doesn't seem to bother him one bit. I would recommend to anyone with a dog with tearing eye problems.